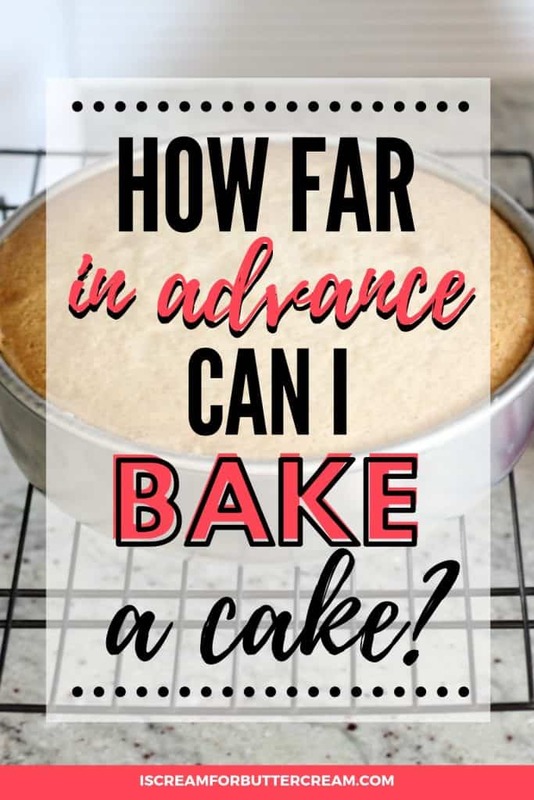 How far in advance can I make a cake? 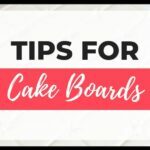 Well there isn’t a one size fits all answer here, but there are a few tips to know that’ll help determine your cake baking timeline. 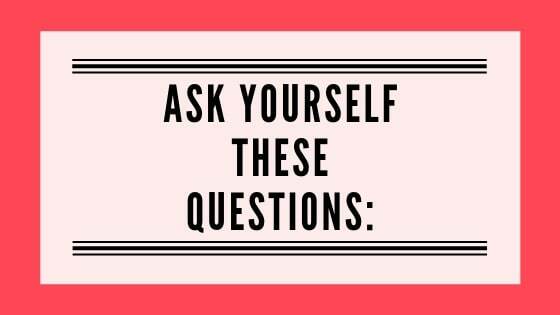 I get asked this question so many times, I thought it would be helpful to write a post about it with my thoughts. 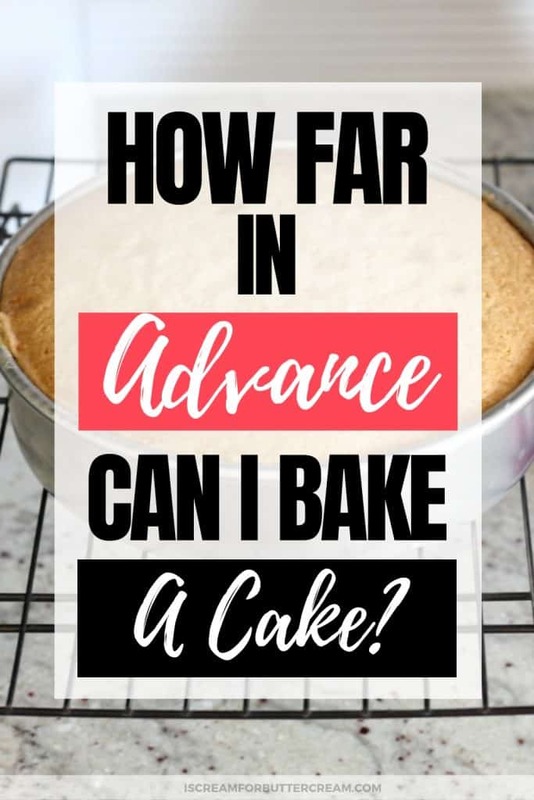 No, it’s not a complicated subject, but there are a few things to keep in mind before I can just say,…you can bake it this many days beforehand. 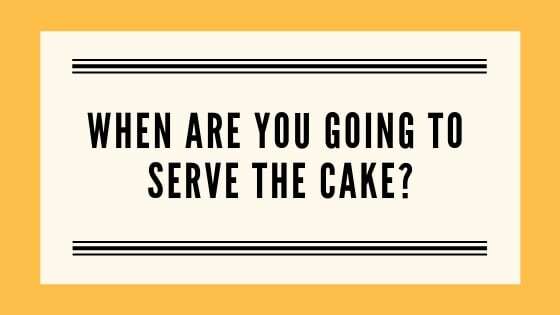 When are you going to be serving the cake? Is this a cake that will be decorated? If so, how many days will it take to do that? Is it really involved and will take a couple days, or is it just a quick birthday cake and will take an hour or two to decorate? Are you totally against freezing baked cakes? 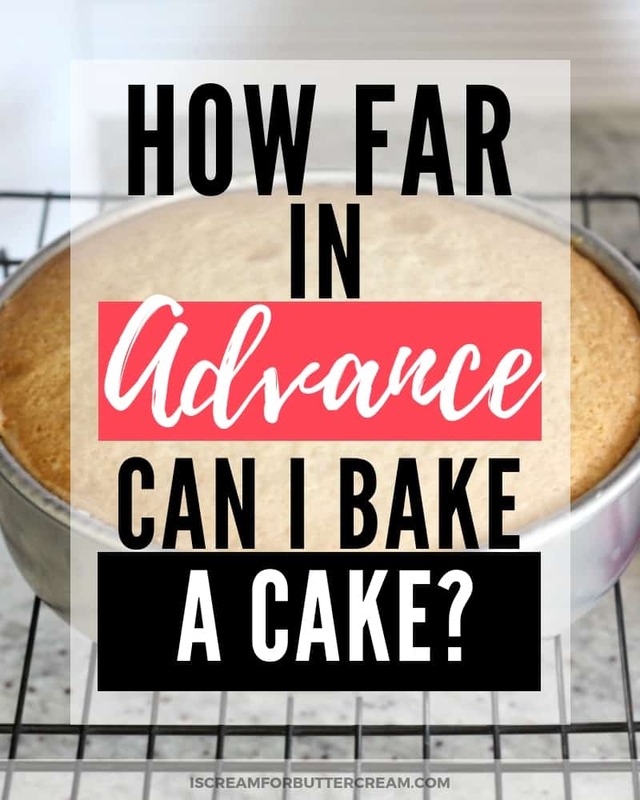 These are all things to consider before determining how far in advance you can bake your cake. So let’s go through these. You’ll obviously need to know when you’ll be serving the cake. My general rule of thumb is if you won’t be serving the cake within three days of baking it, then freeze it. You can defrost it a day or two before the event and then decorate it then. Yes, I am a big believer in freezing cakes, but if you don’t want to do that, then just bake it a day or two ahead of time. It’s not necessary to freeze it if you’ll be serving it in another couple days. Ok, this question is one that a lot of people struggle with. Depending on how involved the cake design is, it could take several hours to several days to decorate it. If you plan on serving the cake several days from the date you bake it, you don’t need to freeze it. Several days is fine for it to sit out and be decorated. Obviously if it’s got perishable filling in it, it’ll have to be chilled though. If you’re like me and want to get a head start and work ahead, then freezing your cake layers is a must. 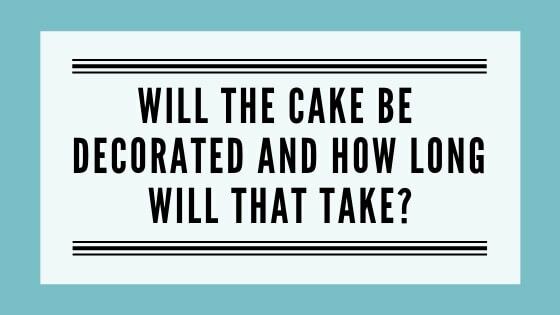 Figure out your decorating timeline and determine how many days you’ll need to decorate the cake. If it’s really involved and your timeline says you’ll need a couple days to decorate it, then just defrost it the night before you need to start decorating it. If your timeline says it’ll only take you several hours to decorate, then just wait to defrost it, or just bake it the night before. It all just depends on your timeline. 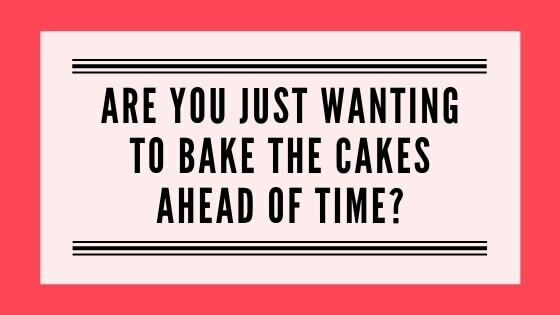 Those timelines are really important, especially for large cake projects. When I was selling cakes, some of my cake designs would take several days to accomplish. One day would be filling and settling the cakes. The next would be to cover it in ganache and fondant, then another would be the actual decorating. So none of that even included all the other stuff like actually baking the cakes, making the icing and making the decorations. 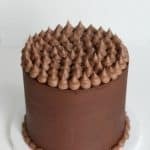 My point is, if you have a big design, you need a plan and that’ll help you determine what day you can bake your cakes. Hey, there is nothing wrong with this AT ALL. Actually, this is where I usually am on this list. I like to work ahead. It’s for my own sanity really. I’m not one to work under pressure… I just simply crack under it. I like to bake my cakes ahead of time, freeze them, then defrost them when I need them. I’ve been contacted by people who think they’re supposed to ALWAYS freeze cakes and I’ve also been contacted by people who are adamantly against freezing cakes. First, you don’t HAVE to freeze cakes. If you’ll be serving the cake in another day or two, there’s just no need to freeze them. Just make sure they’re wrapped really well. 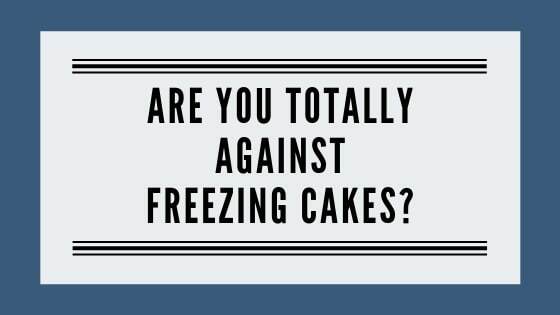 If you’re adamantly against freezing cakes, then that’s okay too. I have to ask this question though… Have you tried it? I mean more than once? And I don’t just mean freezing your top tier from your wedding cake and defrosting it a year later. That’s really gross and most of the time that’s not actually a good representation of what a cake that’s been frozen tastes like. I’m just saying you might want to try it, the CORRECT way. I’ve done it tons of times and it is such a time and sanity saver because without it, you won’t really be able to work ahead. You’ll be baking your socks off days before the event. 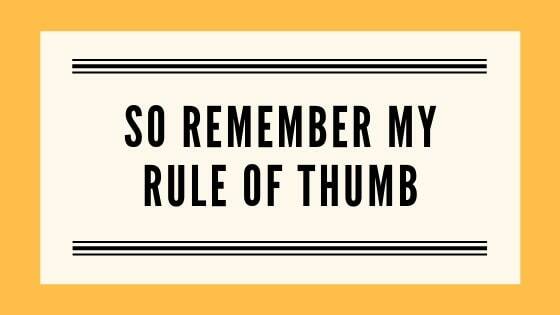 If you want to give it a try, just one more time, you can find my tips here. My general rule of thumb is: If you won’t be serving the cake within three days of baking it, then freeze it. You can defrost it several days before the event to have time to decorate it if you need to. Four days is pushing it…five days is not good. 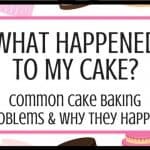 If I’m baking on Thursday, decorating Friday, & serving on Saturday-can my cake stay on my counter (appropriately wrapped, no parishable fillings) until Saturday? Katy, as long as your house isn’t too warm, I don’t see a problem with that. That’s what I do. I know some really prefer to chill theirs, but most of the time, I just don’t. If you’ll be traveling with it, you can chill it for a bit before you go to give it more stability. 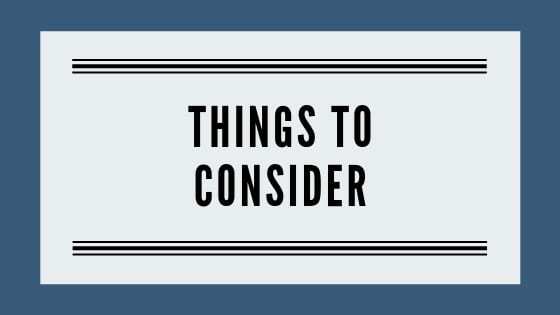 You could always chill it over night on Friday, then bring it out Saturday, an hour before you serve it if you feel more comfortable doing that. But like I said earlier, if my house is on the cool side, I just leave it out and covered. Hope this helps!